And today’s is my Dad’s birthday, so it’s been quite the emotional week. I think I might just sleep all weekend! I always feel exhausted after going out of town! As I type up this September rewind, I can’t believe we’re almost to October! Isn’t it wild?? I feel like it was just yesterday that I was blogging about all the New Year stuff and now it’ll be Halloween and Thanksgiving and Christmas before we know it! 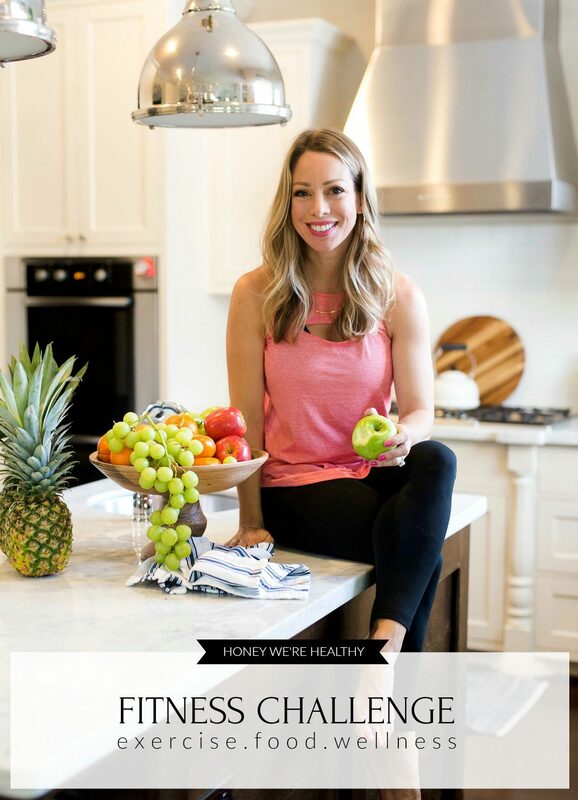 Here’s a roundup of some of my favorite posts on Honey We’re Home in September in case you missed any. You can always subscribe here so you never miss a post! 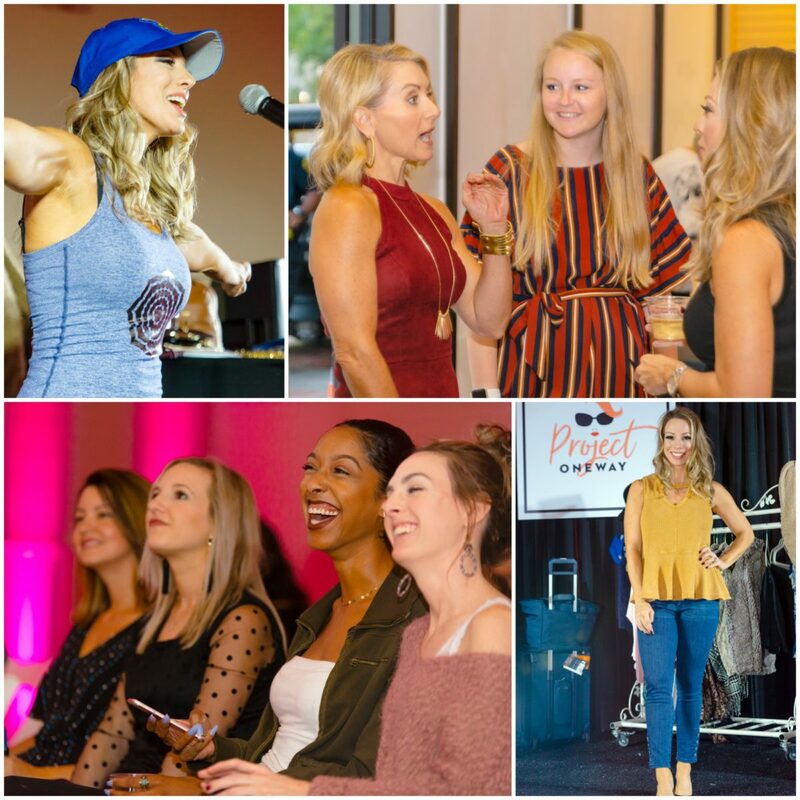 I couldn’t wait to share the ‘behind-the-scenes’ at the fashion show I did last week at Sugar Land Town Square! Last year’s Project One Way fashion show was one of the most challenging and crazy things I’ve done since I started blogging – so of course, I said yes when they asked me back for a second time this year! Project One Way is a ‘one-woman’ fashion show, where I changed in and out of clothes onstage for about 45-minutes, all the while talking about what I was wearing and how to mix and match the pieces! 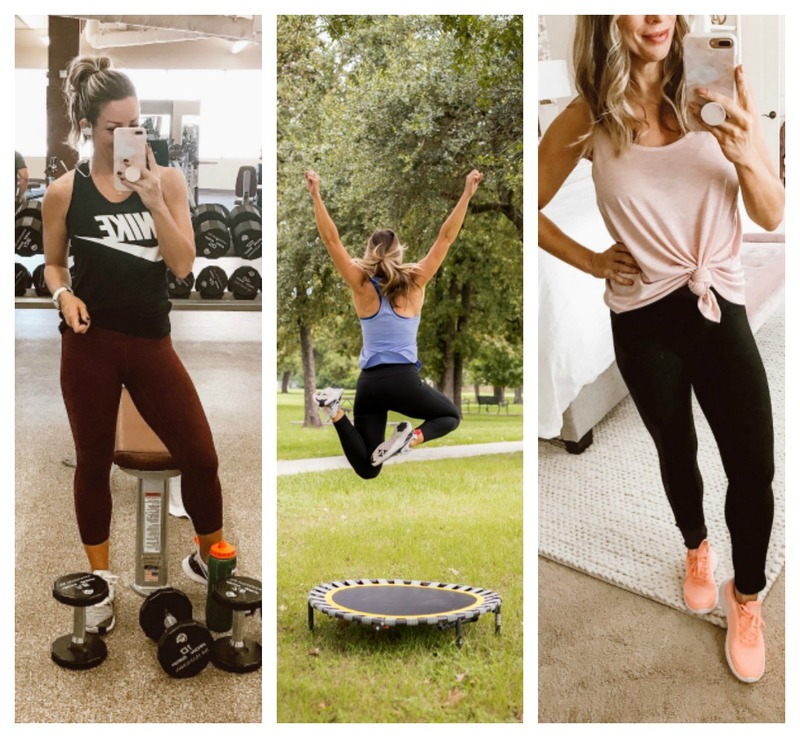 It’s like an InstaStory Try-On session on steroids – with a live audience! 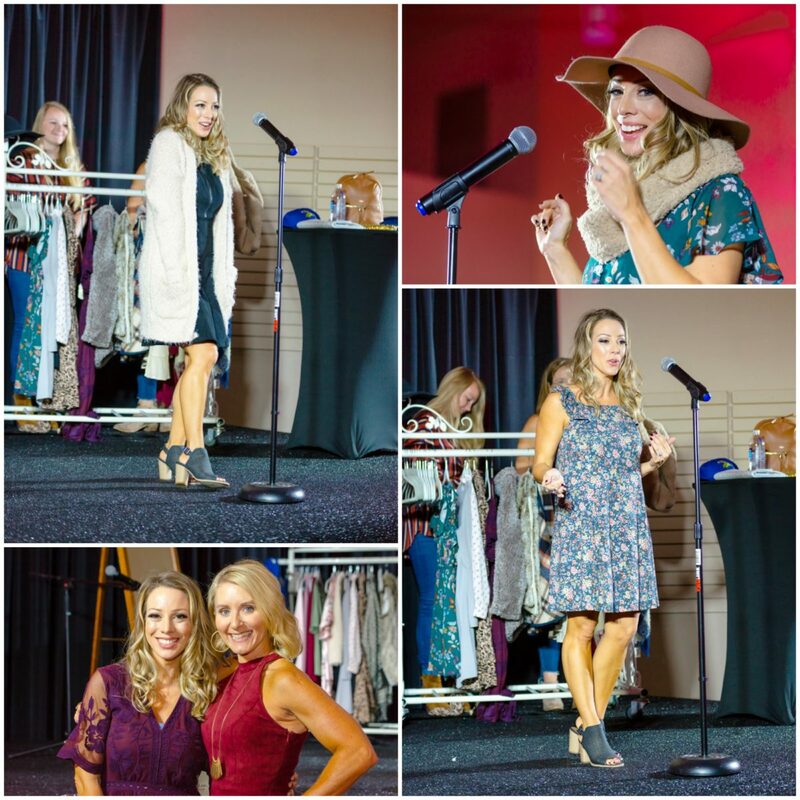 This year’s show featured items from Sugar Land Town Square retailers: Altar’d State, Charming Charlie, Eye Trends, LOFT, Mann Eye, Revolution Studios, Luggage & Leather and Radiate. Before the show, they set me up with Sugar Land Salon & Spa glam squad. It’s always a treat getting to sit back and relax while the professionals work their magic! There was a big chance of rain, so we moved the event inside an old shop space. Other than the move, the whole thing went off seamlessly and I have to thank the team I worked with and Sugar Land Town Square for being such gracious hosts. Their whole center is the perfect place to get together with your friends and family and go unwind and eat at one of the nice restaurants and then do some shopping! The second round of the Honey We’re Home Fitness Challenge kicked off on September 4th. It has been an honor to do this challenge with all of you this time around! Thank YOU for your support, ideas, and accountability. I love being able to organize and inspire – fitness is one of my passions and I hope you’ve been able to find a passion for it too! We’ve almost made it- the challenge ends on October 3! But, be on the lookout for more fitness content in the coming months! I’m working on something that I’m super pumped about and I think you will be too! The second week I shared meal prep strategies and a walking/running workout. In Week #3, we had a protein brownies recipe and a core workout! This week got crazy with a killer Trampoline Workout! Y’all are loving the Amazon Fashion Hauls and this months Top 5 picks cover all the seasons. 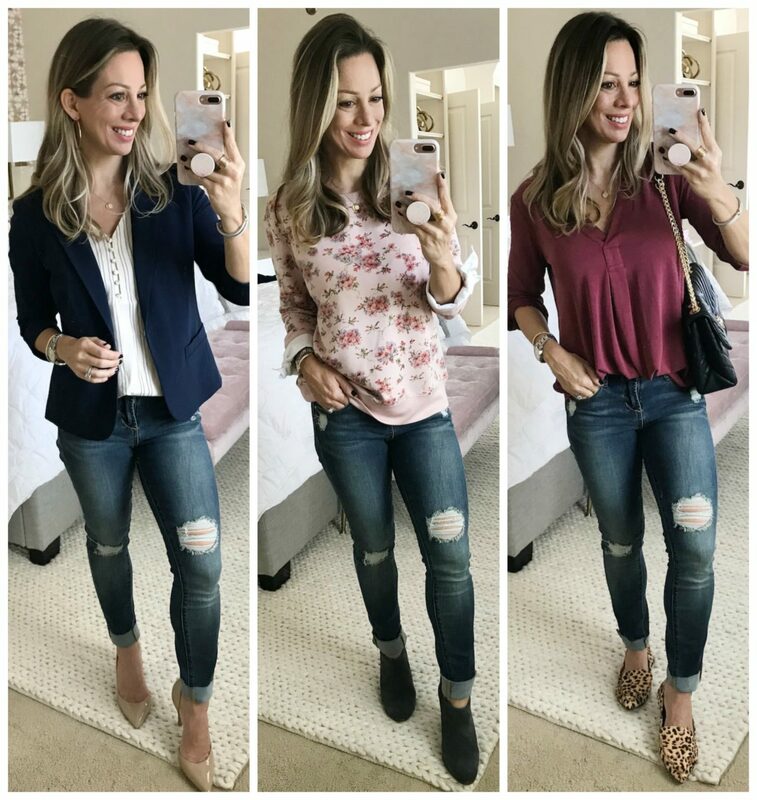 If you love comfortable style, check out 3 ways to style boyfriend jeans. I worked in more great Fall transition outfits for you here. I might have exposed my love for leopard print this month. 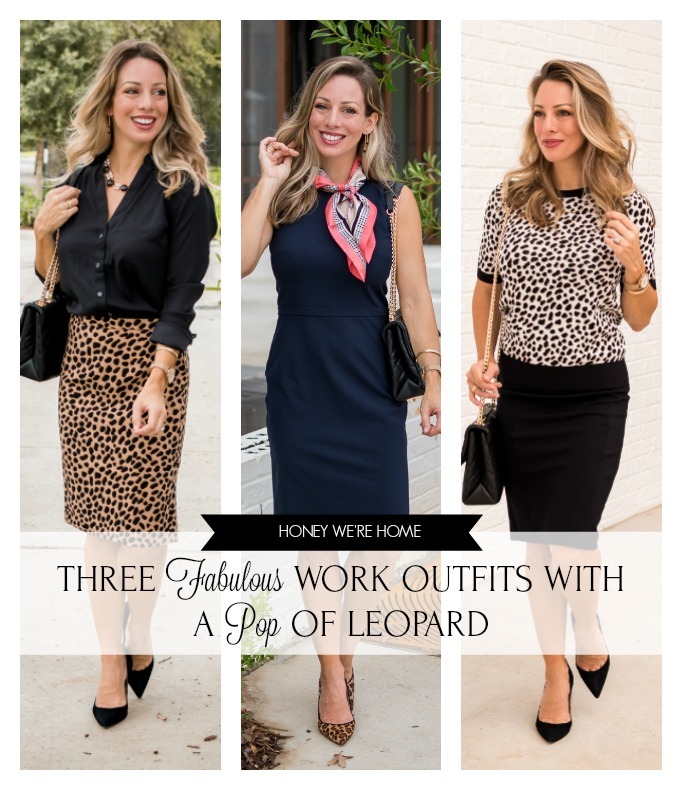 I styled it for work in a post that featured 3 fabulous outfits all from Ann Taylor! I went from distressed jeans to faux leather skirt – gotta love Fall fashion! I created 6 different outfits with this one skirt! While I was visiting Grandma Nola, I was careful to get her on video sharing some of her wise advice. I will cherish her words forever. 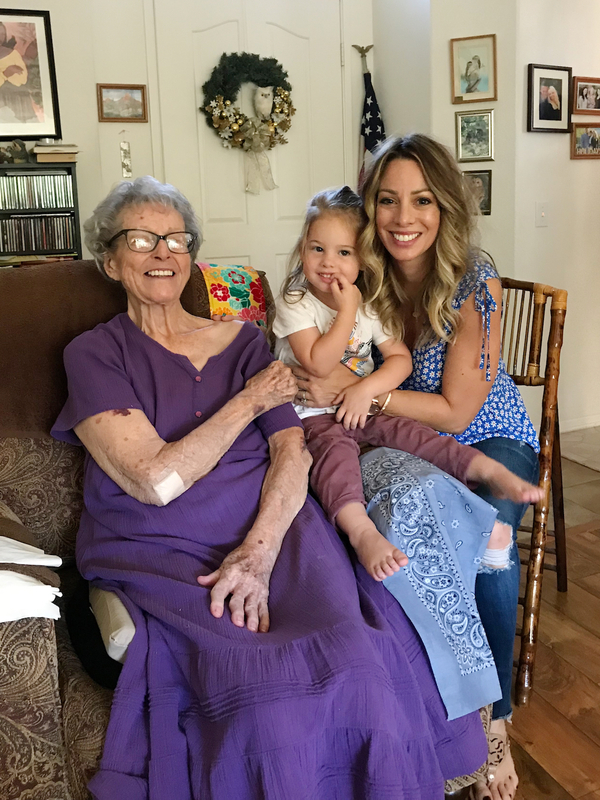 ♥ You can hear more of her wisdom in this post. It’s been a jam-packed month and October is looking equally as full, with lots of exciting things on the horizon. I go next week to LA to shoot the Gibson x Glam Holiday Collection! I can’t believe this is happening! #pinchme I’ll be sure to share more details on that with you next week! It’s gonna be soooo good! This cute little top is henley style and flutter sleeve. Little floral polka dots and 40% off doesn’t hurt either!! Get ready for cardigan season with this ballon-sleeve cardigan that’s a steal under $50! If you’re looking for some boyfriend jeans, I highly suggest this $30 option! This $14 flutter sleeve blouse comes in a really pretty red for Fall! New arrivals are all 40% off and I think I need to try this floral bow-sleeve top! I hope y’all have a wonderful weekend and thanks for reading the PRoject One Way recap! Sending lots of love to you and your family today–birthdays of loved ones passed are rough. Also it’s very sweet that you got video of your grandma. I’m sure you’ll cherish it for years.